In 2008 I wrote a pamphlet entitled Inside Out: how to get drugs out of prisons which was intended as a wake-up call for prisons and policy-makers. Ten years on, the state of affairs has gone from bad to worse, even descending into anarchy as seen at HMP Birmingham this summer. In fact Prisons Minister Rory Stewart, announcing a £10million crackdown on violence, drugs and phones in the ten worst prisons, has promised to resign in twelve months if assaults do not fall as a result. Resigning is exactly what Mr Stewart will be doing unless he breaks free from the failed solutions of the past and casts his advice-net more widely. That would be embarrassing for him but far worse for the prisons and their ever more demoralised staff. To avoid this outcome he needs to understand that the presence of drugs in prisons, licit as well as illicit, undermines any attempt to clean up prisoners from pre-existing addictions; that drugs prevalence increases the chances of recidivism and staff corruption; and – most importantly from a drug user’s perspective – that the ‘dealer’ can be an illicit trader or the State (in the form of the NHS prescriber). The former says ‘Commit crime to get money to buy drugs’; the latter says ‘Stop committing crime and we will give you free drugs’. Both want control. Neither offers freedom. Both harness the power of the drug to influence behaviour – and neither for the good. Mr Stewart has to face this fact of government complicity in maintaining the drug culture in our prisons. For as long as the Government’s goal is to manage the problem, not eradicate it – in terms of both treatment and supply – nothing will change. I am talking about successive governments’ failed policy of prescribing substitute drugs such as methadone to prisoners rather than stopping their addiction; of the failed supply reduction policy that limits itself to trying to follow the drugs trail through prison, instead of setting out to eliminate the prison’s drug market completely. I am talking about defeatism and a lack of ambition. It is fourteen years since the NHS took over responsibility for health care in prisons from the prison service. Since then prison drug treatment has come to mirror the methadone treatment the NHS offers in the wider community. What could be described as ‘situationally sensitive’ help for those entering the prison system with a pre-existing drug problem has all but been abandoned, as has secondary (post prison) residential support and rehab for any who managed to sustain abstinence while in prison. Nor is there much sympathy in the community for former offenders who picked up their drug problem ‘inside’. 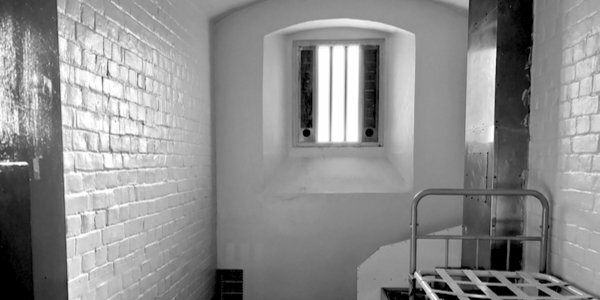 Once prison was seen as a chance to make a break from ‘the life’ (addiction to or problematic use of drugs) even if this was in too many cases low-level symptomatic relief of withdrawal from drugs or in extreme cases ‘cold turkey’. It was a chance to go to the gym and get fit, to eat properly and gain weight, visit the dentist, and sort out other neglected health issues. But the NHS’s prison methadone and other opiate substitutes ‘prescribing pathway’ put an end to all that. It has resulted in a ‘keep you sick’ merry-go-round which, far from lessening the impact of the patient/prisoner on society through reducing his or her crime, sees him or her involved in a cycle of community-to-prison-to community – the very worst of all worlds, incurring high costs against little benefit. It was not meant to be like this. Shortly after I took over responsibility, as the Area Drug Strategy Coordinator, for the seven London prisons (2003-07) there was a death in custody (at Wormwood Scrubs, a prison currently on the Minister’s list of the ten most in need of support). I was tasked to support the prison’s drug strategy team and help to improve the detox function. We began with replacing the prison’s 11-bed ‘detox’ area (which was more like an old-style Eastern Bloc sanatorium than a clinical detox facility) with a 54-bed detox unit, light and airy with sofas and a fish tank, staffed by volunteer officers and a team of nurses from the NHS trust. We abandoned the standard urine testing on the unit and introduced mouth-swab saliva testing. Prison staff helped the ‘detoxing’ prisoners to exercise and stabilised their sleep patterns with ‘night packs’ which didn’t contain caffeine, and gave extra food as their appetite returned. The aim was to get them better and it worked. This good practice could have become everyday routine for the rest of the prison service. Instead we got an ‘Integrated Drug Treatment System’ which became a huge prison-based Methadone Maintenance Prescribing Programme rolled out over three years across the whole estate, with methadone hatches in cell doors and iris-recognition dispensing machines. In the name of saving lives, offenders became trapped on medication in their revolving door community-prison-community journey. Arriving in prison addicted, given methadone, trading that and using other drugs ‘on top’ (illicit, licit, and so-called legal highs), they leave addicted, maybe with a prescription following them into the community where they continue to use (illicit, licit and so called legal highs) ‘on top’ until they end up back in prison where the cycle starts all over again. It’s like a loaded Monopoly board with no safe stops to catch a break. Of those who come in without any addiction, approximately 6 per cent pick one up while in prison. Prisons are awash not only with traditional illicit drugs (heroin, cannabis etc. ), but increasingly with the prescribed drugs buprenorphine, pregabalin and gabapentin, as well as methadone, via the prison’s NHS treatment supply or other supply routes. All become currency in the prison’s internal drug trade, alongside new psychoactive substances (NPS) such as ‘Spice’ (the generic name for a range of synthetic cannabinoids), concerns about which were raised in 2014. The government’s supply disruption policy is equally inept. It has been characterised by a ‘follow-the-drug’ mentality, focusing exclusively on finding and following the drug, at point of entry, in the post, over the wall, through visits, and staff searches. It has been a total failure. I once joked with a prison governor that we would be better off getting sniffer dogs to identify cling-film or plastic as that’s what the principal substance or contraband is usually wrapped in anyway. He thought this would be a step forward! Rarely, if ever, have the prison service or the Ministry of Justice (MoJ) widened their perspective to look at the whole market for drugs in a given prison area, at clusters of prisons, at the prison estate nationally or between prisons and the community. Such an approach was first mooted in the very sensible Justice Inspectorates Thematic report: Changing patterns of substance misuse in adult prisons and service responses, whose recommendations successive governments have ignored. Another of their key recommendations was to end the use of mandatory drug testing (MDT) results as a measure of prison ‘performance’ or success in how well they were controlling drugs in prisons. This is a process by which the prison selects prisoners (supposedly at random) to undertake a drug test. If the prisoner tests positive for an illicit substance, he becomes subject to an adjudication and possible sanction. If the tests indicate no drug use, that prison is deemed to be doing well. Typically, however, in practice there are issues with selection of prisoners, testing integrity (for example prisoners and/or guards swapping samples), and the validity of test results where illicit drug use may be masked by prescribed drug use, particularly when the prisoner is on an opiate substitute. It is a poor measure of drugs control. More of the same has lead to more of the same. Instead of doing more of the same and expecting a different result HMPPS must look at how in-prison drug sales work, the payment mechanisms – from community to prison, between prisoners – and how corrupt staff are paid for their services; at where drugs are stored, at how they are distributed, what paraphernalia is needed and where does it come from (do prisoners share drug-using equipment?) and finally at the underpinning communications networks between users, dealers and third-party couriers. While the dealers and users are more motivated and organised then ever, the prisons themselves have fallen behind the ‘baseline’ of interdiction demanded of them in 2008. The result is that drug use has literally spilled over and run riot in several jails, with the increased general threat level to staff and prisoners as reported at HMP Birmingham last month. Understanding and dealing with the drug markets in prisons, restricting and reducing drug supply needs to become a cross-government priority and must include the National Crime Agency and the Home Office. This, with the reintroduction of proper detox and treatment programmes which include education and purposeful activity, is the key to safer prisons, to reducing the reoffending rates of those leaving prison and to a safer society for us all.